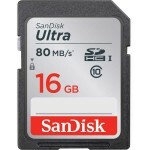 The SanDisk Ultra SDHC 16GB allows you to record Full HD and photos with your camera, smartphone or tablet. The SanDisk Ultra SDHC 32GB allows you to record Full HD and photos with your camera, smartphone or tablet. 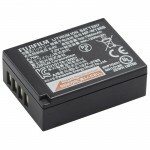 Includes one Fuji NP-W126s Rechargeable Battery for compatible Fujifilm cameras. High capacity and extra-long life battery pack ideal for use as a replacement or spare. The OM-D E-M1 MARK II is a flagship mirrorless camera with unparalleled high speed performance and high class image quality. It is ideal for documentary, fast moving wildlife and travel photography. Introducing the FUJIFILM X-T20, the latest premium interchangeable lens model to join the world-renowned X-series digital camera line-up. The X-T20 is a stylish, powerful yet lightweight mirrorless digital camera with tilting touchscreen LCD. Capture images exactly as you see them with dial-based controls and a variety of exposure modes, or select Advanced SR AUTO for intelligent, fully-automatic shooting. £50 off the marked price, while stocks last. The discount will automatically applied when you add the item to your basket. So, add it to your basket and watch the price drop! Any additional offers, (if applicable) are also valid.